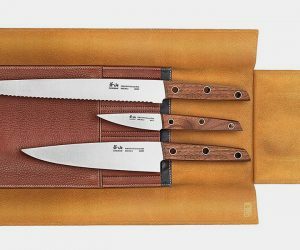 All new kitchen kit with a sting in the tail from the knife-making kings. 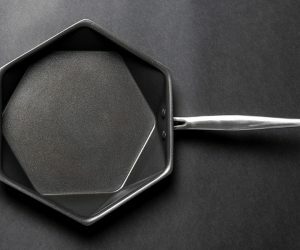 Like their blades, the Edge of Belgravia Stingray frying pan is formidable, featuring Swiss-made state-of-the-art non-stick coating, it’s super-durable, scratch resistant and offers even heat distribution, while the clever hexagonal shape makes it easier for pouring your culinary creation onto plates too. 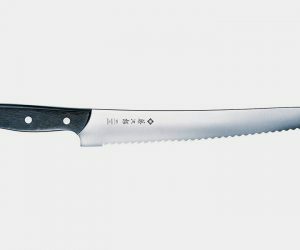 Whether you’re a superstar, Michelin-star chef or a mere amateur cook, the Super Steel Kitchen Knives will bring a whole heap of glamour and goodness to your kitchen. 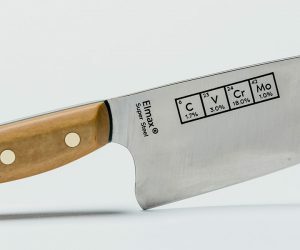 A work of art for your worksurface, they’re slim, sharp and stylish, featuring a rounded spine and slip-resistant choil, with the elements etched on to every blade like an ingredients list, and a handle with a handsome mosaic pin. 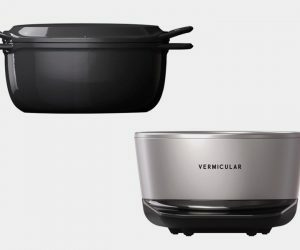 It took three years for brothers Kuno and Tomo Hikikata to perfect the Vermicular Cast Iron System that blends the ancient and modern cooking techniques of Japan. The combination of the enameled Musui pot and Kamado induction cooker enables you to create dishes to perfection, with options including roasting, stewing and searing. 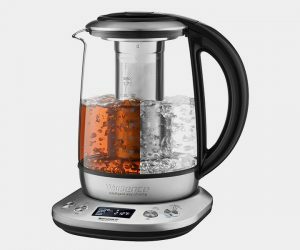 It’s one precise piece of kit.